The Zambia Information Communication and Technology Authority (ZICTA) Board has appointed a known Patriotic Front cadre Mofya Chisala to oversee Simcard registration exercise a source within the ZICTA board has told the Zambian Watchdog. 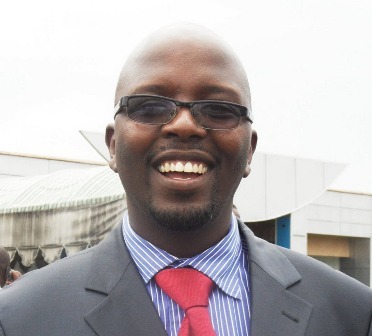 Mofya Chisala who has questionable educational background is the Director of Support Services at ZICTA. Chishala who is preparing to take over as ZICTA Director General when the contract for the current Chief Executive Margaret Chalwe expires is also reported to be making moves to have the Cyber Space department under him because the department is alleged to have failed to close the Zambian Watchdog. The source said Mofya has indirectly appointed himself as a defacto Deputy Director General. Mofya also belongs to the Patriotic Front Security wing. “The ZICTA board should also be disbanded just like the Zambia Railways one because we are toothless, imagine the young man called Mofya Chisala has been lobbying individual board members to put all major department under him, right now Simcard registration that normally falls under technical is under support services” the source said. The source said the biggest worry is that the move to put Simcard registration under a PF cadre Mofya Chisala would jeopardize Simcard registration progress as a number of citizens would be skeptical to register. Meanwhile, another source has told the Zambian Watchdog that Communication and Transport Minister Christopher Yaluma last week grew cold feet when he visited ZICTA offices as he abandoned his mission. The source said Yaluma’s mission was to go and check on Mofya Chisala’s alleged fake education documents but before he reached ZICTA offices he was told that Mofya Chisala is untouchable. Mofya joined ZICTA from ZRA.